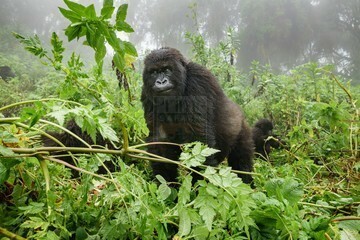 The 16 Days Uganda Rwanda Gorilla Trekking Safari & Wildlife Tour begins in Kigali Rwanda and ends in Kampala Uganda. 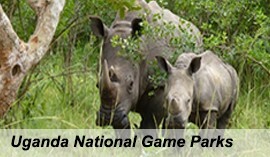 The safari includes Wild game viewing in Rwanda’s Akagera National Park, Uganda’s Queen Elizabeth and Murchison Falls National Park and Ziwa Rhino Sanctuary where the encounter with the Big five of land animals and other wild game are highly expected. It also features double Chimpanzee trekking in Rwanda’s Nyungwe Forest National Park and Uganda’s Kibale National Park, double mountain gorilla trekking in Rwanda’s Volcanoes National Park and Uganda’s Bwindi Impenetrable National Park, cultural encounters in Nyanza palace, Butare National Museum and Batwa in Mgahinga and Adventure encounters like the Nyungwe Forest Canopy walk, the Island hopping on Lake Bunyonyi, Mount Rwenzori Climbing and hike to the falls. 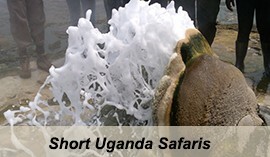 This is one of the diverse long safaris that you can take in Uganda and Rwanda. Day 6 of the 16 Days Uganda Rwanda Gorilla Trekking Safari & Wildlife Tour : Recreational Lake Kivu experience in the morning and drive to Volcanoes National Park. Transfer to Nyungwe Forest National Park after breakfast. You drive though Kigali city and proceed to make a stop at Nyanza Palace which is the Royal palace of the Kingdom of Rwanda established by King Musinga and later his successor King Rudahigwa. The palace also features an ancient architectural hut along with the traditional Inyambo cows and the King’s equipment. The traditional performance can be arranged for you on optional arrangement. You proceed to Butare for lunch after which you embark on the tour to the Ethnographic Museum also known as the National Institute of Rwandan Museums which features a range of 100,000 artifacts becoming the largest in Rwanda if not in the region of East Africa. The Museum depicts the heritage and history of Rwanda. 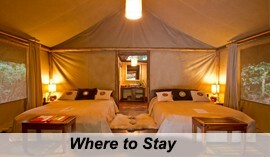 You proceed to Nyungwe Forest National Park for relaxation, dinner and overnight. Following a relaxed breakfast amidst the fresh air from the moist deciduous forest of Nyungwe, you embark on the transfer to Gisenyi Lake Kivu 294km about 7 hours’ drive exploring the magical views of the Nile Congo divide trail. You make a lunch stop at Kibuye one of the resort towns on Lake Kivu after which you proceed to Gisenyi arriving in the afternoon for relaxation, dinner and overnight. After a relaxed breakfast, you embark on the thrilling Island hopping experience exploring the main Islands of Lake Bunyonyi with great heritage attached to them. The lake features a count of 29 Islands among which include the Up side down Island (Bucuranuka) known to have turned upside down burying its inhabitants after refusing to give an old woman a sip of their prepared local beer. Others include the Punishment Island where the pregnant girls would be dumped and left to die for getting pregnant before marriage. Others like Kyahugye and Bushara Island present good nature walking experience. 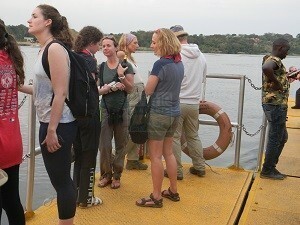 The boat cruise on the lake is also recreational and magical to encounter. It is a blissful day enjoying and relaxing at the lake. Gather at Nyakalengija ranger post to set off for the adventurous day hike to the Rwenzori Mountains. The Rwenzori Mountains also known as the legendary Mountains of the moon rising to 5,109m above sea level is noted to be the third highest on African continent and the tallest mountain range on the continent since Mount Kenya and Kilimanjaro are free standing. The snow caped mountain features impressive foothills and ridges that can be explored in a day hike. 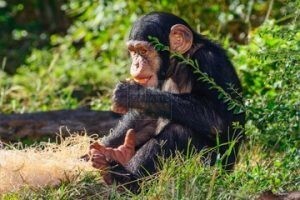 The views of the magical glaciers running down the mountain, the montane vegetation, the fauna and birds along with the remarkable views of the rift valley below, Kasese town, the lakes Edward and George among others combine to generate remarkable memories. 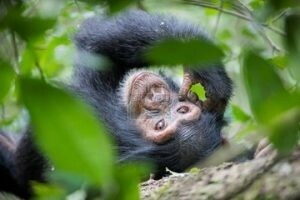 Retreat from the activity and embark on the transfer to Kibale National Park for relaxation, dinner and overnight. 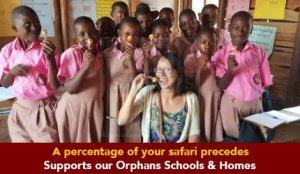 After breakfast, embark on the transfer to Kampala 311km about 5 hours drive. You make a stop at Ziwa Rhino Sanctuary to track the southern white Rhinos thriving in the savannah thicket at the center of Uganda. These species had faced extinction in 1983 but were re-introduced in 2005 under the breed and restock programme. 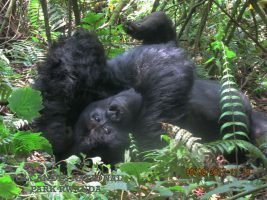 The trek is very thrilling and if had got the chance of viewing the other Big four, then the encounter with Rhinos would complete the Big five Safari experience. 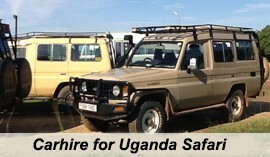 Proceed on the drive to Kampala to mark the end of the tour.